a promising first step towards introgression of resistance into future kiwifruit cultivars. To integrate resistance alleles into current and future breeding programmes eï¬ƒciently, robust markers linked to resistance genes need to be identified. Breeding for resistance to biotic threats that are currently targeted by chemical sprays is a reasonable move toward a healthier, cheaper and more environmentally friendly form of food production. This will benefit organic producers and conventional producers alike by reducing market access issues, decreasing the need for pest control, and decreasing the real and perceived risks associated with spray residues, resulting in increased market appeal and economic returns. This one-oï¬€ NZPPS/Zespri Kiwifruit Scholarship was possible thanks to Zespri. 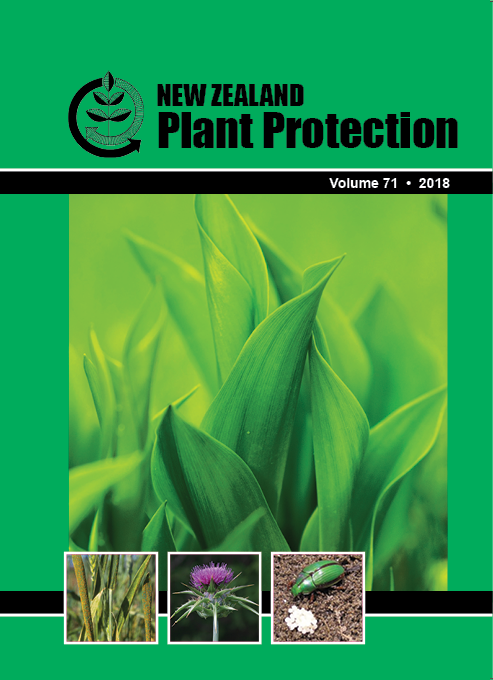 It was funded by the proceeds of a symposium on Psa held in Palmerston North in 2016 run jointly by Zespri and the New Zealand Plant Protection Society.